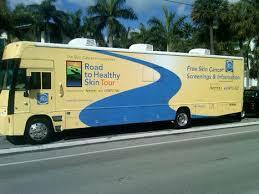 The Road to Healthy Skin RV Tour will be in San Diego the middle of August! Eastman Chemical Company, manufacturer’s of Vista Window Film, is partnering with the Skin Cancer Foundation as part of Skin Cancer Awareness Month to provide consumer education. As a partner, they are supporting the Road to Healthy Skin Tour presented by Rite Aid. They will be hitting the road in a 38-foot RV, complete with two exam rooms starting in New Jersey and ending August 30th in Redwood City, CA. The Tour will make 50 stops along the way at Rite Aid stores and educate the public about skin cancer prevention and the need for prompt treatment! Local dermatologists will conduct full-body skin exams on a first-come, first-served basis. According the Dr. Dee Anna Glaser, vice-chair of the dermatology department at St. Louis University, UVA rays penetrate deep into the skin, not only causing wrinkles and aging but skin cancer as well. 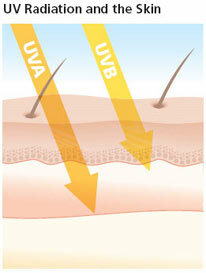 UVA rays, unlike UVB rays, can cause long-term damage that isn’t always noticeable. Window film blocks 99.9% of the harmful rays and protects not only you and your family but your interior furnishings as well. The Healthy Skin Tour will be in San Diego and Carlsbad August 16 and 17th. Check out the link above to see the times and places in your area. We love San Diego for its sunny days but the rays are very intense–even when overcast! If UV radiation can damage interior furnishings, what can it do to your skin? Just because you are indoors, you can still get a tan or burn as the sun penetrates through your windows, according to the Skin Cancer Foundation. The reason we use sunscreen is to protect ourselves from UVA and UVB rays. Even on days with cloud cover, 80% of solar UV rays can penetrate through thin cloud cover. The heat you feel from the sun comes from infrared rays, not UV rays. The UV radiation exposure is cumulative, which means the total damage you receive is directly related to how often you’re exposed to UV rays. The damage this radiation causes could ultimately lead to skin diseases like cancer. There are options you can choose to protect you and your family. Awnings, curtains or blinds will work, although they block views and can create a dark interior. Window film, however, blocks up to 99.9 percent of UV while offering an unobstructed view, allowing natural light while decreasing the use of artificial lighting. Contact Eco Tint and Shade at 858-332-1650 or on the web for a free consultation and estimate for window film! Admit it. How many times did our parents tell us to turn off the lights? Do you think we own stock in the Electric company? With the price of utilities, I wish I did own stock! As I drive around San Diego neighborhoods there a lot of homes that perpetually have their shades closed on beautiful sunny days. These are the homes that get hit with heat and glare–especially in the afternoon hours. A simple, low-cost way to solve the issue is window film. It blocks the heat up to 79% and cuts the glare–while protecting your interior furnishings. You won’t have to close the blinds and turn on the lights in the middle of the day! 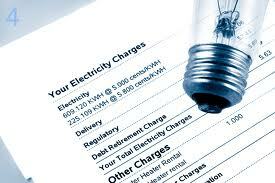 What a great way to help save energy and the cost associated with it. What better time than now, to thank all of our customers for choosing Eco Tint and Shade for their window film and window covering needs. Our goal is provide value and a comfortable living environment for you and your family. The best part of the job for me is the opportunity to meet all the wonderful people I have come across over the past year–whether you bought from us or not. I wish all of you a joyful Thanksgiving and holiday season! We have much to be thankful for in this country. Do You Find Yourself Squinting? Does the glare get you down inside your home? Did you know that window film can cut glare dramatically. What that means is no more squinting at your TV or computer screen. It’s no secret that the UV light in San Diego is harsh. An added bonus with film is that it help protects your skin because Vista Film is recommended by the Skin Cancer Society. It is one of those little unknown facts you can spring at your next get together with family and friends! If you need help deciding on a film to choose, we just happen to have very knowledgeable sales consultants to help! So next time your sitting at your computer, or watching a TV program, and you find yourself squinting, reach for the phone and dial Linda at 858-869-4253. I’ll be right over.